Prepare your trees and shrubs for the growing season. We begin in the library with an introduction to pruning, tree care, and tools. We’ll then move outside for demos, hands-on practice, and Q & A. Dress for the weather. Registration is open for Blandy Summer Nature Camp! The first camp begins on June 24, but spaces may fill quickly. 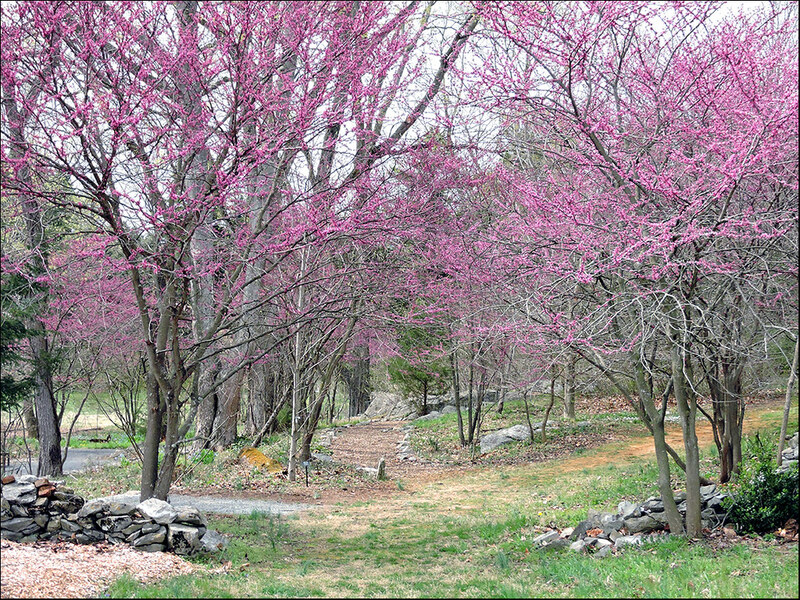 The woodland section of the Native Plant Trail is framed by eastern redbud trees (Cercis canadensis) in this photo taken Thursday, April 11. The 172 acre Orland E. White Arboretum was designated the State Arboretum of Virginia in 1986. With over 5000 living trees, the diverse collection is highlighted by over 200 kinds of conifers, 162 types of boxwood, a 300 tree ginkgo grove, a cedar of Lebanon allee, an herb garden, and the Virginia Native Plant Trail. Public programs at the State Arboretum provide opportunities for life-long learning in a variety of settings. Workshops, lectures, tours, and children’s camps offer opportunities to learn about environmental issues, natural history, gardening, and more. Inquiry-based education is at the heart of our preK-12 programs, where students are actively engaged in hands-on explorations and research-driven field investigations. Our programs align with Virginia & National Science Standards as well as with other subjects. Field-based ecological research is at the heart of Blandy Experimental Farm’s mission. Current University-level research involves plant pollination studies, plant-animal interactions, defoliation caused by the destructive gypsy moth, and the effects of in-breeding on plants.